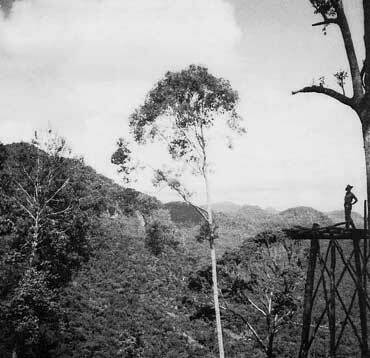 Late in August 1942, Lieutenant N.Owers, with a small survey party, was looking for an alternative route forward of Ilolo by which the troops on the Kokoda Track might more easily be supplied. The jeep track only ever reached as far as the point which became known as Owers’ Corner, and then gave way to a foot track which wound down a steep slope towards Uberi. During the month of September 1942 two 25 pounder field guns of the 14th Australian Field Regiment were brought forward to Owers’ Corner, where they were manhandled into firing positions. 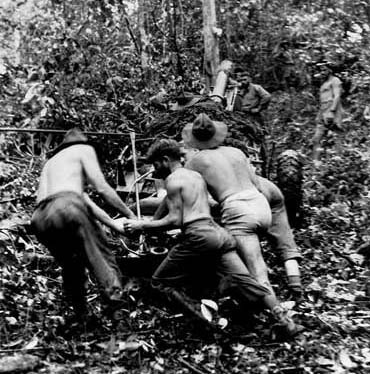 This was the only allied Field Artillery used during the Kokoda Track campaign to support the out gunned and greatly out numbered Infantry. This action assisted in halting the Japanese advance just 48 kilometres from Port Moresby; so began the Japanese retreat. The terrain was almost impassable for Infantry let alone Artillery. A third 25 pounder field gun was dismantled and manhandled to Peg 66 beyond Uberi. The Regiment was assisted in reaching their firing position by a Platoon of the 2/1st Pioneer Battalion. However, by then the Japanese had withdrawn beyond the range of the gun. 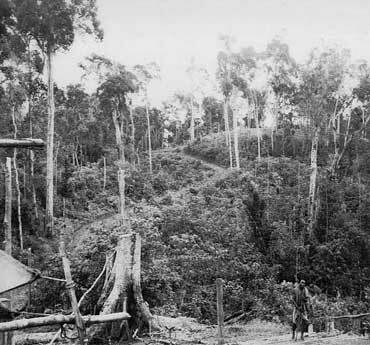 “The ejection of the enemy from Ioribaiwa Ridge indicates a turning point in the battle for Port Moresby. The success of our forces was due in no small part to the action of 53rd Field Battery, 14th Field Regiment in bringing fire to bear on the enemy position which they had every reason to consider was safe from artillery fire. The manner in which difficulties were overcome in bringing guns into action at Owers’ Corner and later in taking guns forward to Uberi is another example of the aptness of the gunner motto, “UBIQUE”. The accuracy of the fire brought down at extreme range indicates that the personnel who served the guns are maintaining that standard of efficiency which is recognised as inherent in gunner units. Special mention must be made of the early reconnaissance of the area and the accurate observation of fire by the Troop Commander, Captain J.P. Cullen who has been mention in despatches. The action of the unit in taking a gun to pieces to manhandle it up and down he steep hillsides of Uberi indicates that the Militia soldier is fully alive to the resourcefulness expected from gunners. The task of getting this gun forward was facilitated by the good work of 5 Platoon 2/1st Pioneer Battalion who improved and prepared the track. The CRA desires to congratulate the officers and men who took part in the actual action, on their fine achievement and that he feels confident of the good work which will be carried out in future by the 14th Field Regiment and wishes them every success in the campaign ahead. 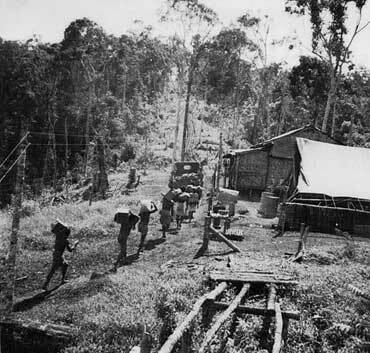 All units which participated in the Owen Stanley Campaign between McDonald’s Corner and Kokoda, passed through Owers’ Corner.